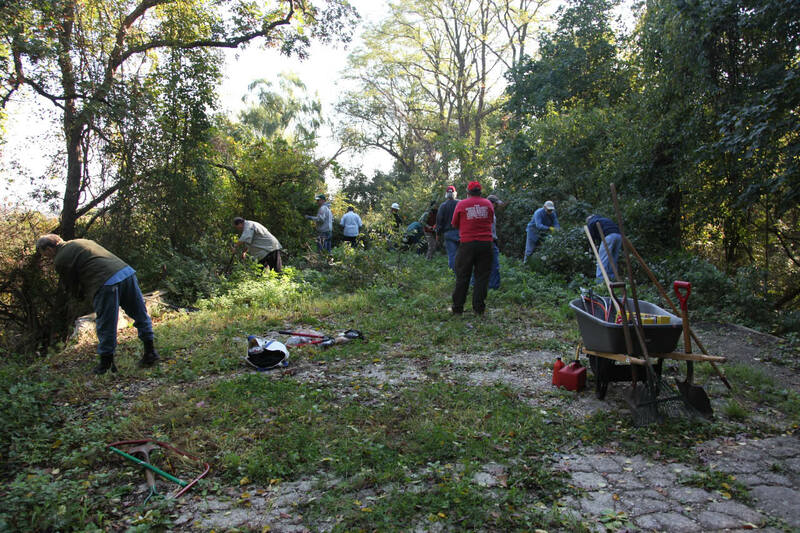 Looking east from the bridge, everyone is hard at work cleaning the Motor Parkway right-of-way. The bridge from ground level looking south. My favorite co-author Al Velocci lending a hand, view again looking east. The repaired fence around the bridge. 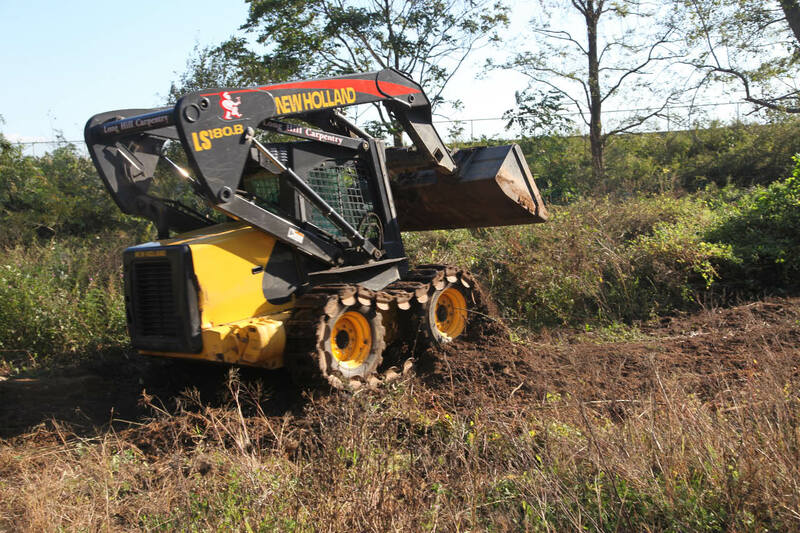 John Schoendorf of Long Hill Carpentry volunteered his Bobcat and did much of the heavy lifting. Thanks, John!!! 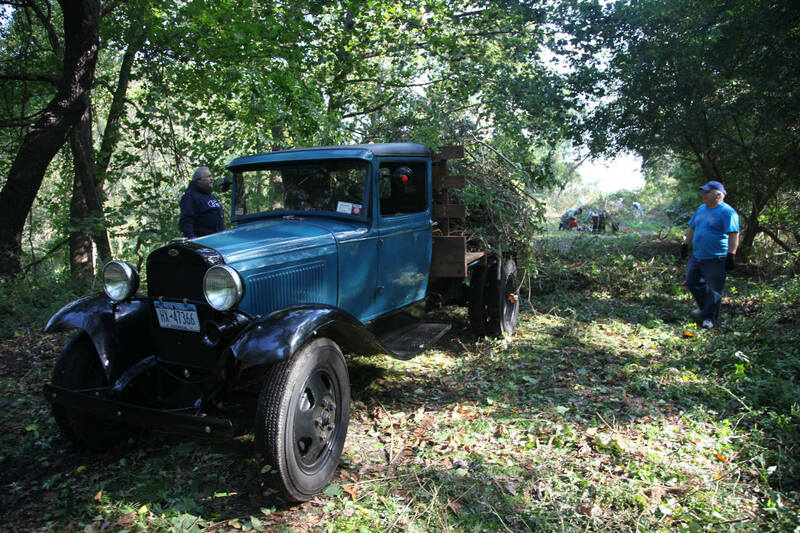 Appropriately, a Mike Scavatt's 1931 Ford truck carried the debris away from the bridge. Al Velocci discussing the history of the Long Island Motor Parkway with Cliff Golub. 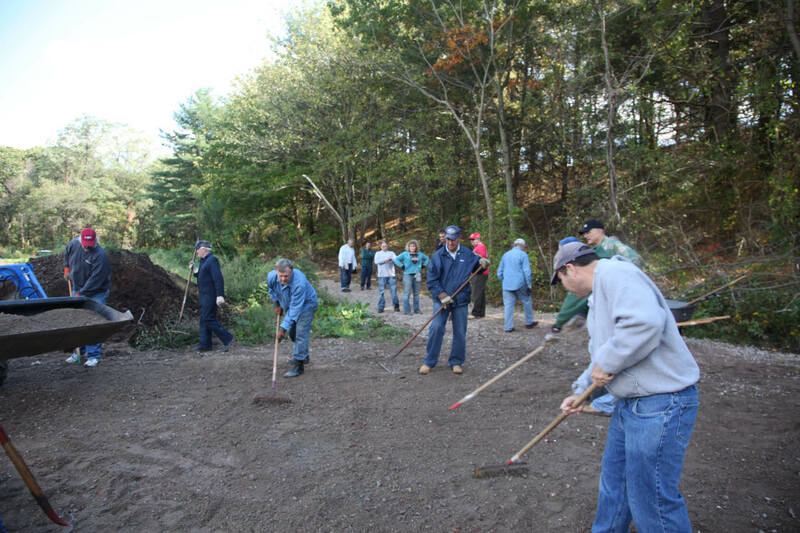 Raking the fill which was donated by Joe Presti of Presti Stone and Mason Corp. Thanks Joe!! 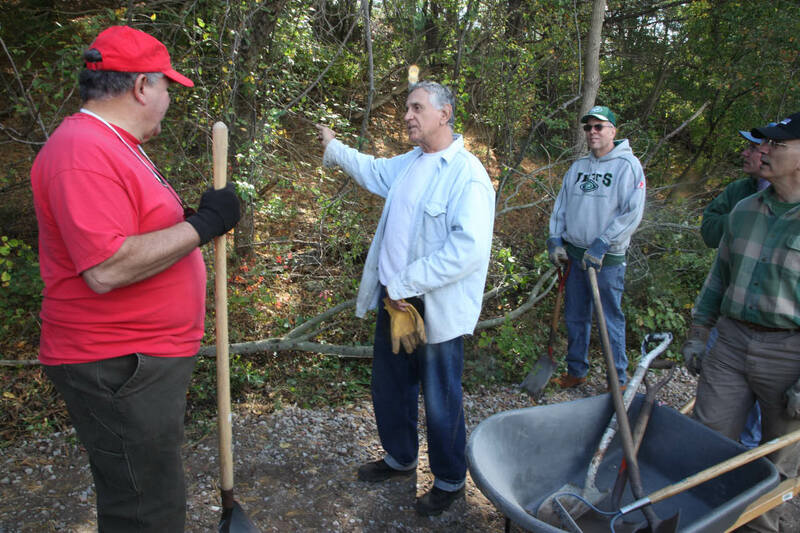 Mark Adler received kudos for his supervision of today's "Clean-Up Day". Super job!! 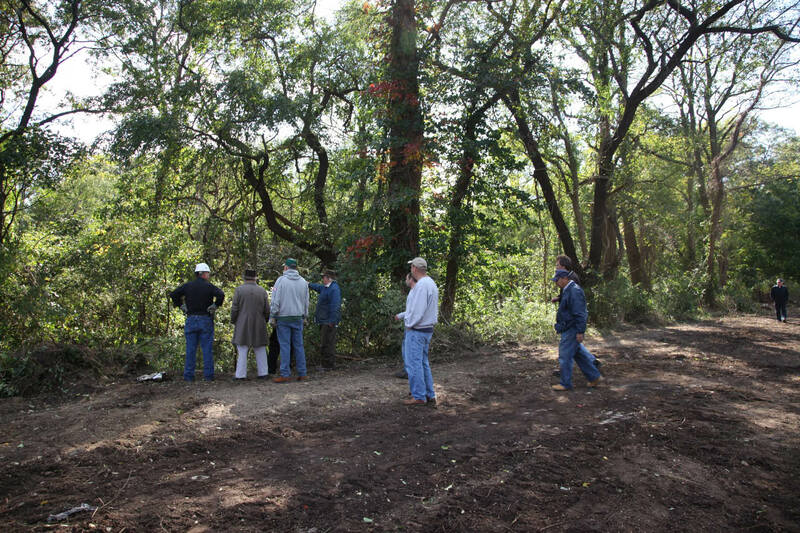 Jim McKenna, Site Director of the Old Bethpage Village Restoration, was amazed at the progress made throughout the day. 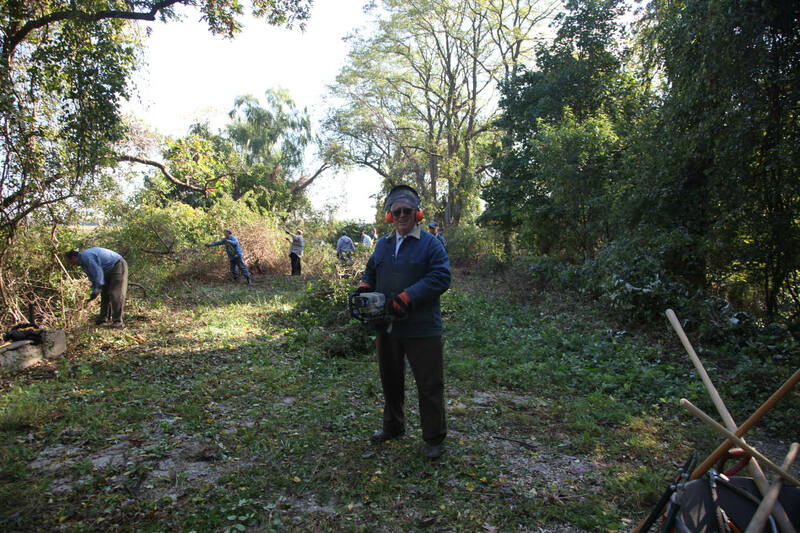 Joe DeBono examining Motor Parkway pavement, uncovered for the first time in over 60 years. John Schoendorf 's mighty Bobcat made a new path on the north side of the bridge. 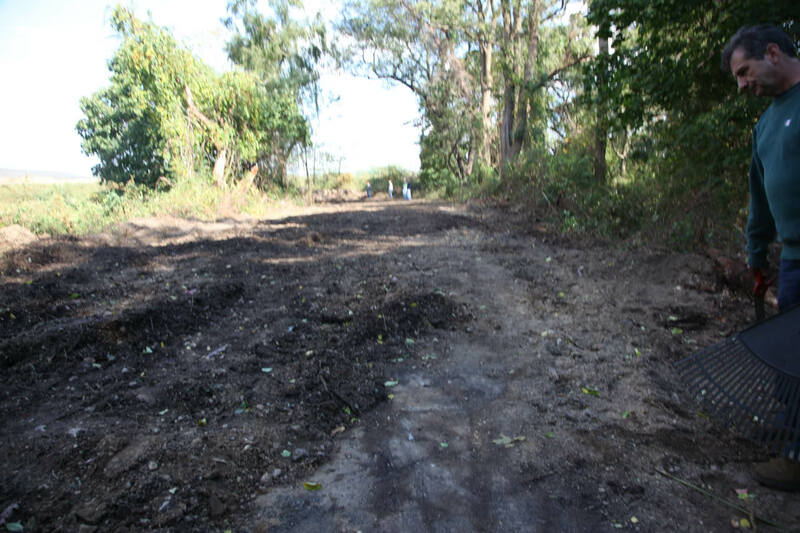 The next step in the cleanup will be removing debris using this path. 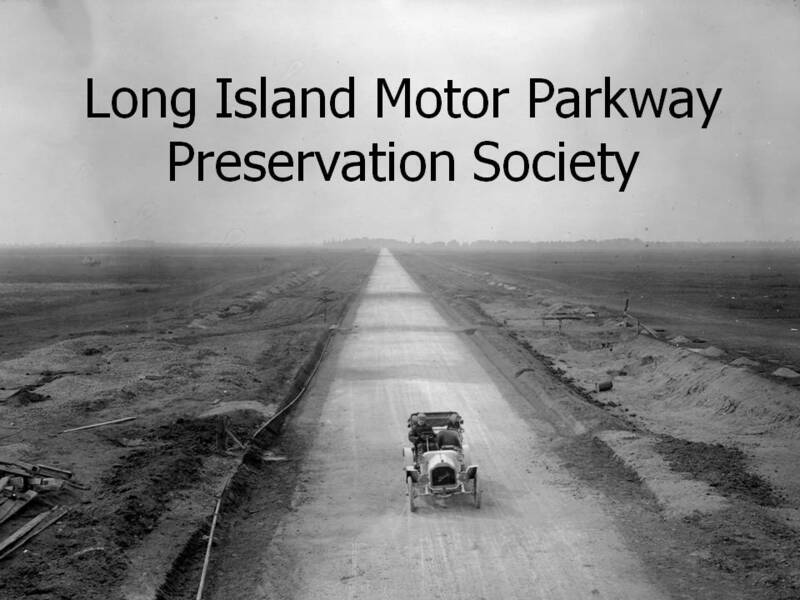 The restored Motor Parkway looking east. This is the same view as the first photo taken at 9:30 AM. To download photos from the above slideshow, follow this link to this Photobucket website page. 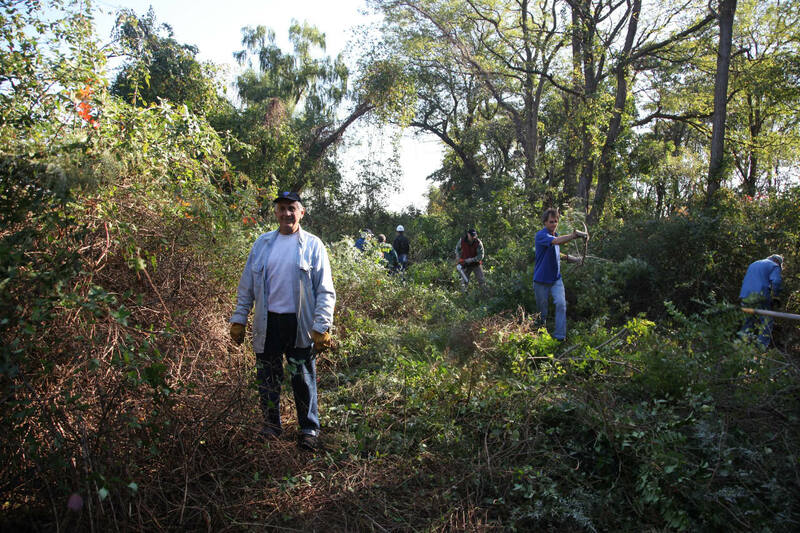 Hold the Date: The second "Clean Up the Old Bethpage Motor Parkway Bridge Day" will be held on Saturday, October 29, 2011. Details to follow. 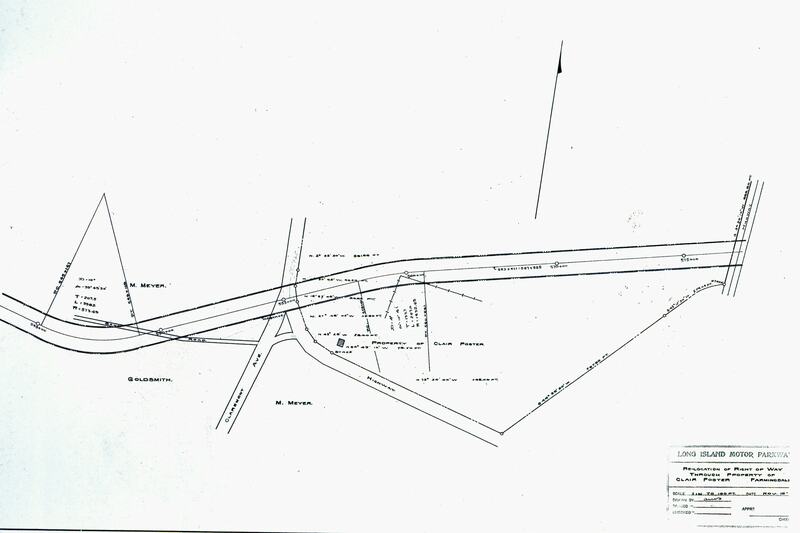 This 1907 survey map shows the Motor Parkway route through the Clair Foster property, located in Old Bethpage. 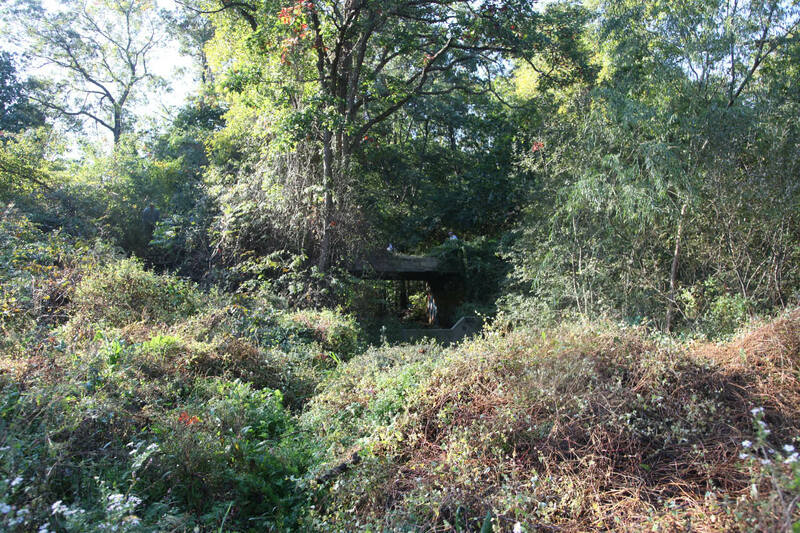 The now destroyed bridge over Claremont Avenue can be seen in the middle of the survey. 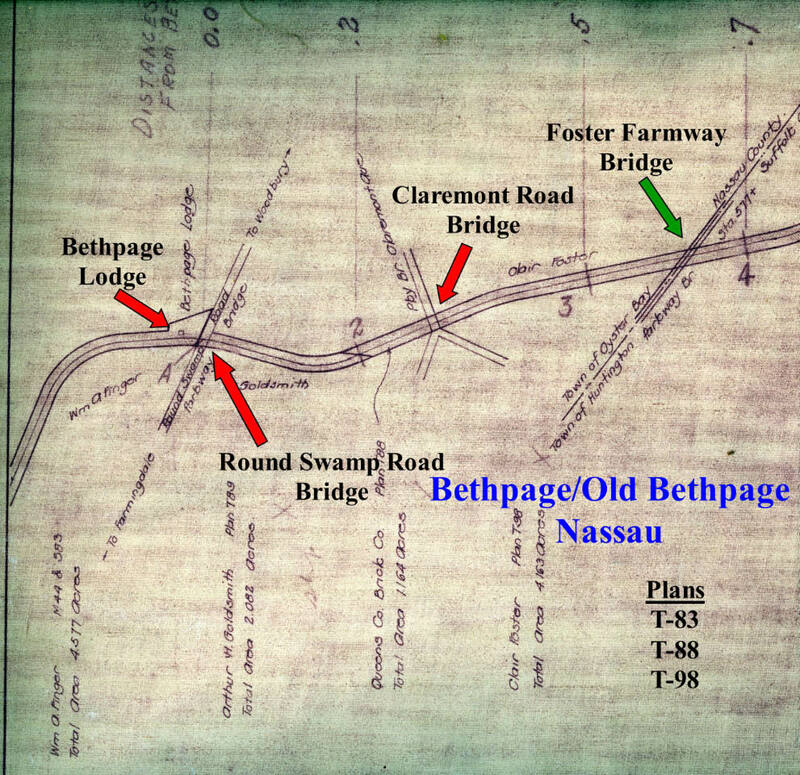 The Old Bethpage Motor Parkway Bridge over a proposed highway can be seen on the far right. 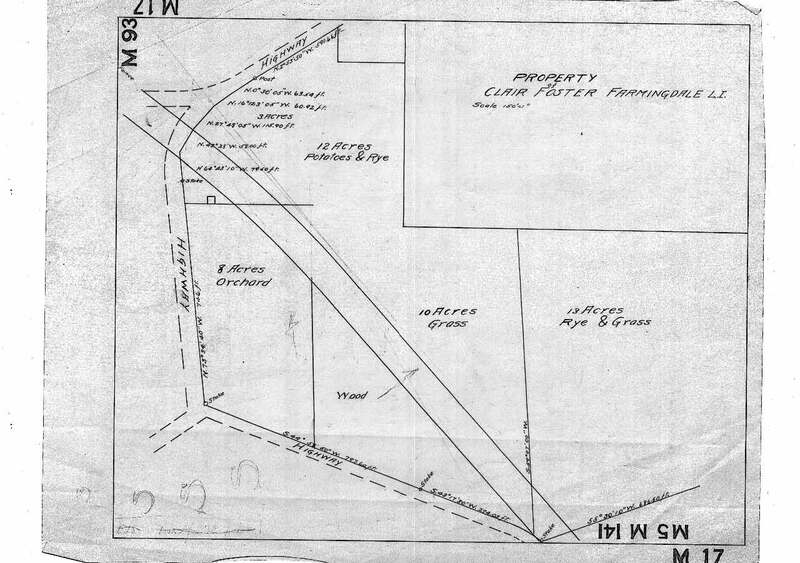 This 1907 survey map showed the landscape on the property. The survey from the Motor Parkway Atlas showed the parkway from Round Swamp Road to the Nassau County/Suffolk County line. 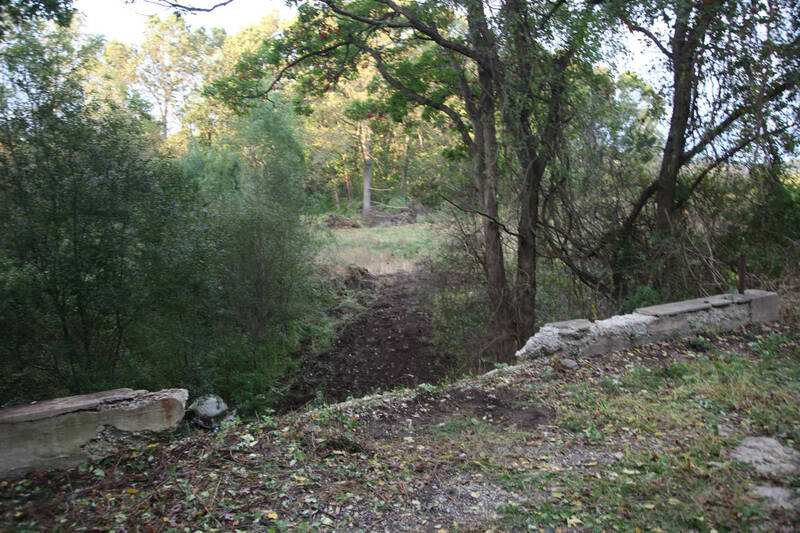 Originally planned as a bridge over a future road, the Old Bethpage Motor Parkway Bridge became a bridge connecting the Clair Foster Farm. 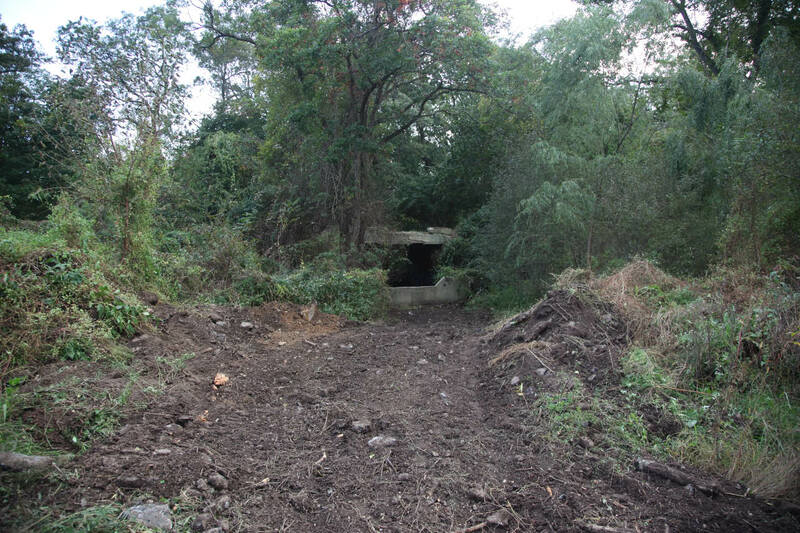 A closer look of the Old Bethpage Motor Parkway Bridge. Note the small road or path beneath the bridge. 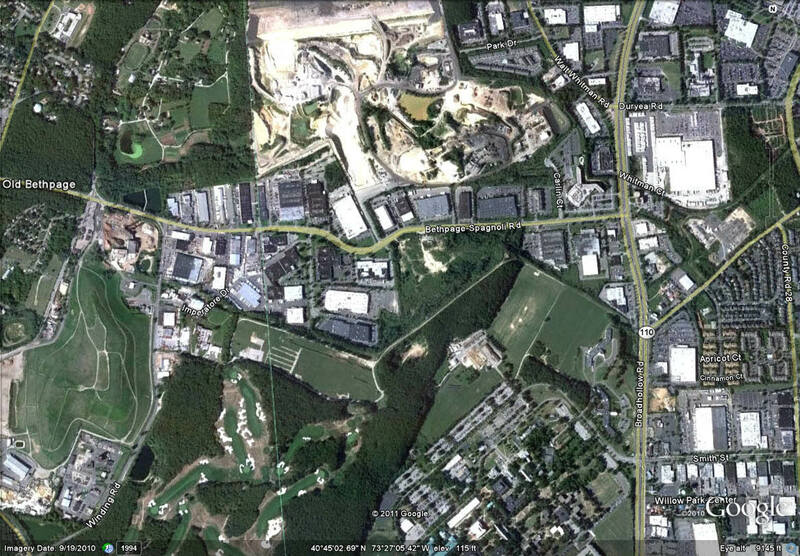 Current aerial view of Old Bethpage and Melville. Note the similar property boundaries as seen in the 1950 aerial. 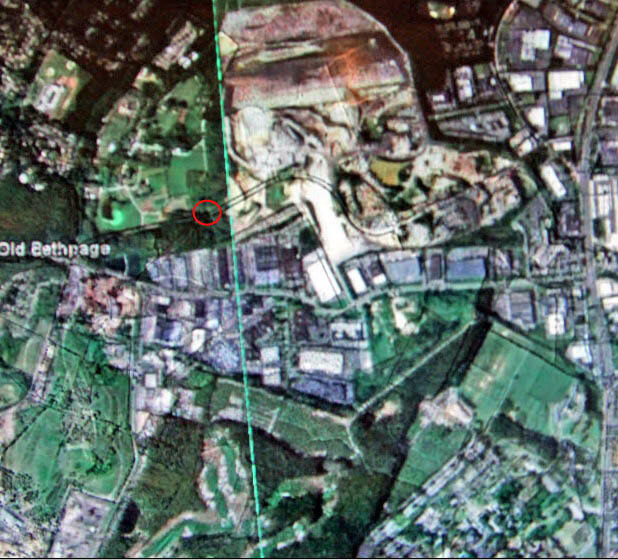 For fun, I placed an acetate of the 1950 aerial over the current Google Earth view. 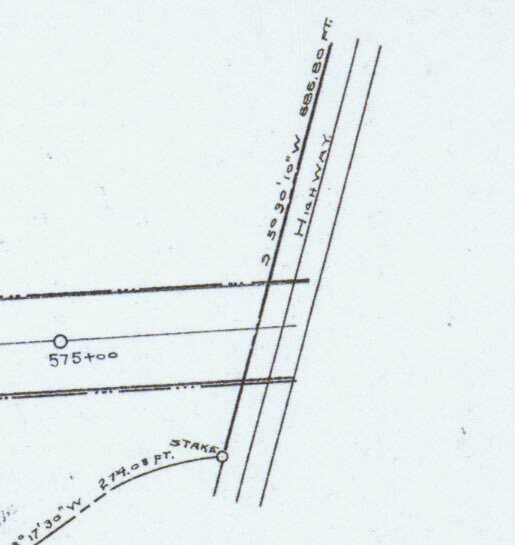 It clearly shows that the Motor Parkway continued east for about a 1/4 mile before curving south. The location of the Motor Parkway Right-Of-Way and the Old Bethpage Motor Parkway Bridge as seen on the 2011 Google Earth view. The blue dotted line is the Nassau County/Suffolk County border. Incredible day Howard!! Dee and I are looking forward to the next day on the 29th! 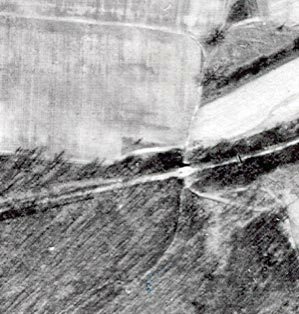 I also offered a possible explanation with a 1953 aerial about the posts uncovered at the end of the property on the LIMP Facebook page. Very nice pictures. Takes me back to the early 50’s when I was a boy scout. Our scoutmaster used to take us on hikes on the Long Island Motor Parkway. 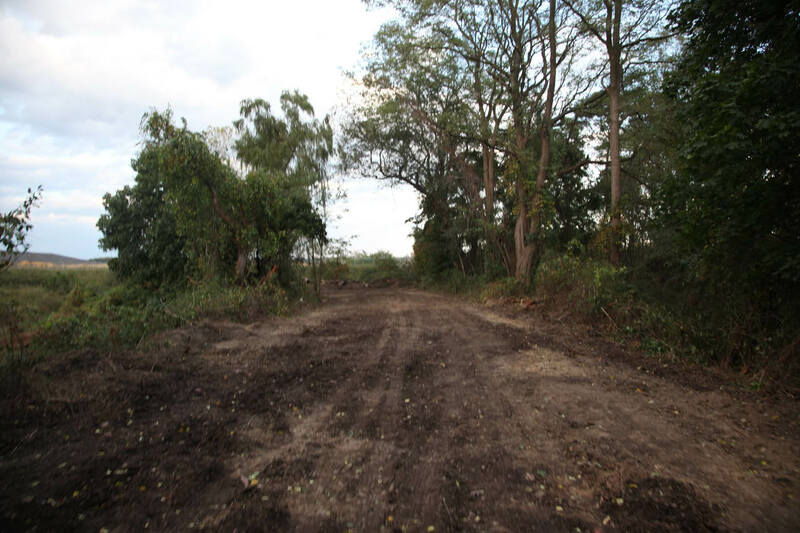 We would access it by going up Hicksville Road for a fairly short distance north of Hempstead Turnpike, turn right (east) into a devlopment, go north on one of the streets that ended at the parkway. We would then head east and hike until we reached the end (can’t remember exactly, must have been a former bridge there). Thanks for bringing back some memories. You did a great job. Sorry not able to be there.Plan to help after recovery from surgery. As someone who is an advocate of preserving Long Island history, I applaud everyone’s work in uncovering the Bethpage bridge. Could the Peconic Bay Region have your permission to reproduce these photos in a future issue of our newsletter? The Alco was a hit at the Cutchogue show yesterday. George, feel free to use any of the photos. 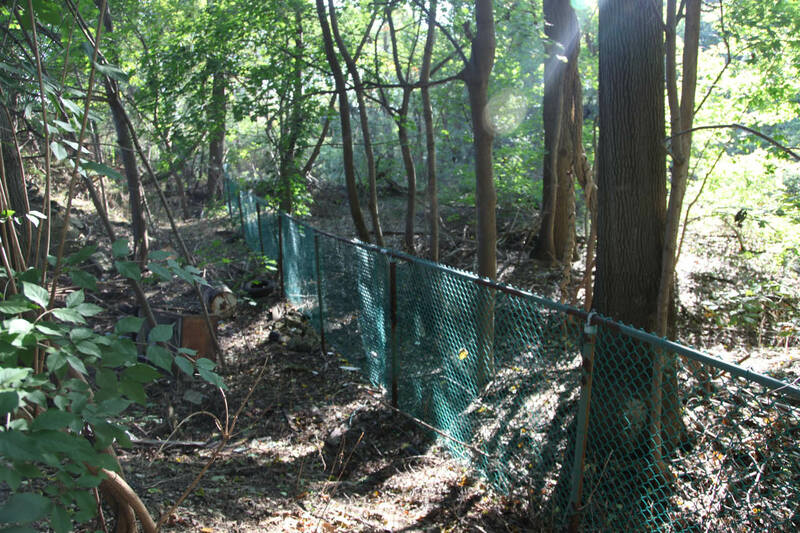 Thank you to everyone for your help in preserving this part of the Motor Parkway - sorry I could not make it, but I’m so glad a second clean-up has been scheduled - I put it on my calendar as soon as I read about it. Howard, Hello and how are you ? My name is Officer Steve Zacchia and you should remember me as the curator of the Nassau County Police Museum. 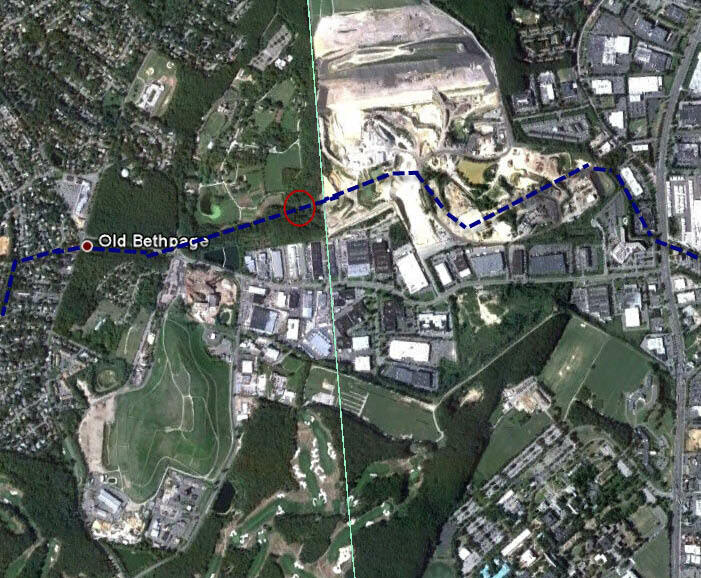 Saturday I checked in at the Bethpage Restoration at 3:00 so I could help out but was denied entry and told that it was too late..I left dissapointed. 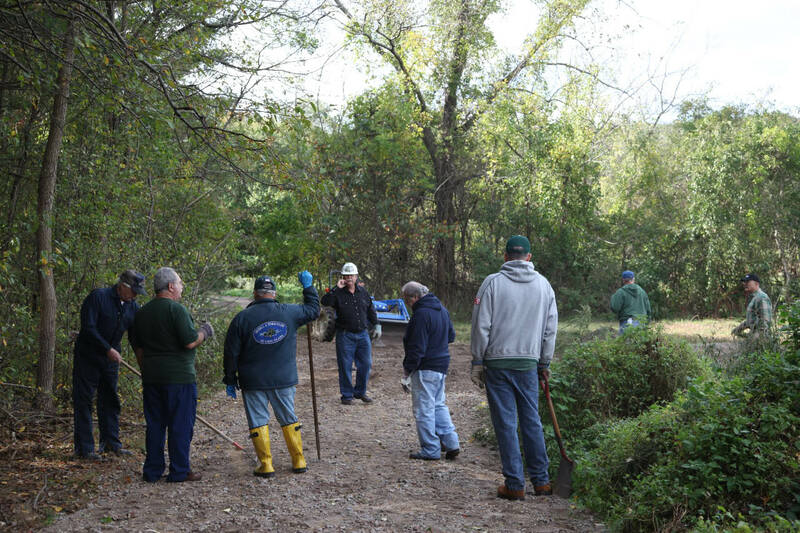 I returned Sunday earlier and was able to see all the work that was accomplished. Good job ! It was quite interesting ! Please let me know of any future dates. I certainly do rembmer you! I am sorry that we missed you last Saturday. We will be back at the Old Bethpage Motor Parkway Bridge on Saturday, October 29th.